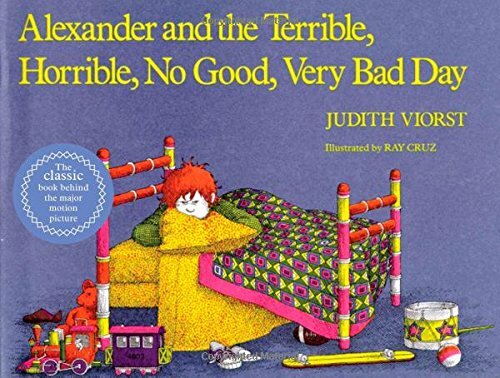 This day is worthy of Alexander in Alexander and the Terrible, Horrible, No Good, Very Bad Day by Judith Viorst. Why, oh why must these days creep upon us, and though we know they are out there, they always catch us by surprise. – as it were, it was too late to sleep, too late to cancel my call out, too late to do anything but go back to bed and mope. That was just one of the series of unfortunate events, of which I rained over everyone I came in direct contact with – I ask again – why? – that which doesn’t kill us makes us stronger – was my sister’s anecdote, and though I love my sister dearly, I really hate that phrase! – so, here I be, moping in my bedroom, with the blinds pulled low and the lights all off, keeping my self induce misery to, well, myself.